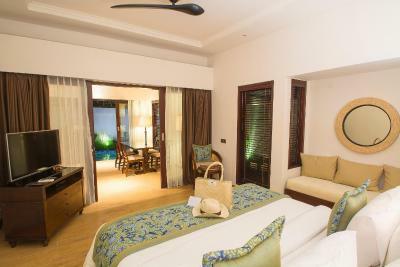 Lock in a great price for Lembongan Beach Club & Resort – rated 8.7 by recent guests! The main pool in front of the beach, that would be it!! Breakfast was really wonderful with lots of options available. Location is wonderful and access to near beaches easy. The villa was amazing! Pool, super comfy bed and an amazing shower! The staff was also great and played a huge part in us having such a terrific stay. The staff were super helpful and friendly. Helped us with any queries we had. Activities offered were really good and cheap. Pool setting is amazing, staff did all they could to help and were very attentive. We stayed in a private pool villa which was amazing, we did the 3 point snorkel trip which was a great experience. Would definitely return. Great location of hotel right on beach front overlooking the beautiful ocean . The shipwreck surf break was right out the front of the hotel , great restaurants next door such as Lemongrass and Ginger & Jammu ( great food and coffee) . There is a laundromat in the lane way next to the hotel which was very convenient . There is a money changer next door to the hotel along the beach front . We loved the gardens and our garden villa. My husband did enjoy the free nightly cakes that were delivered to your room to have with a cup of tea. Good location, better accommodation than others in the same area from what we could see. 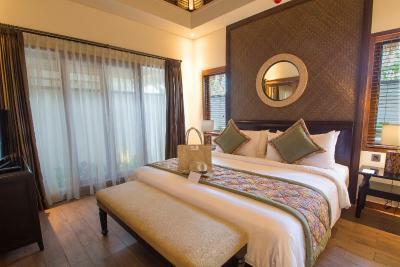 The island has limited choices for hotels, so for Lembogan, this is ok hotel. It has beach access and you can see the sunset from your sun bed. Decent breakfast, but not fabulous. 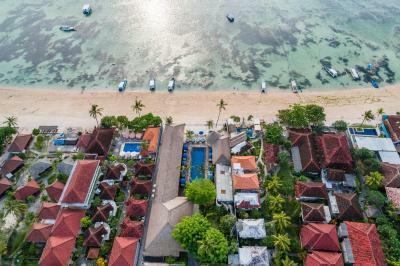 Lembongan Beach Club & Resort This rating is a reflection of how the property compares to the industry standard when it comes to price, facilities and services available. It's based on a self-evaluation by the property. Use this rating to help choose your stay! Lembongan Beach Club & Resort offers a tropical retreat with a restaurant and an outdoor pool overlooking the white sand Jungut Batu Beach. Providing water sports facilities on site, the resort can arrange diving and snorkeling trips upon request. 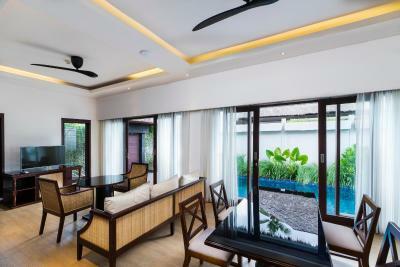 Spacious villas in Lembongan Beach Club & Resort feature a private terrace overlooking the private pool and garden. 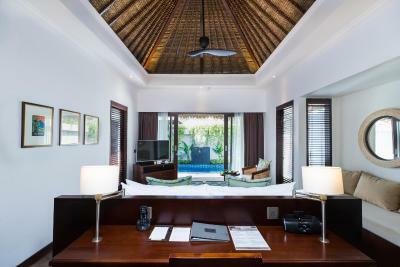 A mini-bar and a living area with a flat-screen satellite TV are among the in-villa comforts. Private bathrooms come equipped with bathrobes and free toiletries. For guests’ conveniences, day tours and airport transfers can be arranged through the hotel. Luggage can be stored at the 24-hour front desk. At Kayu Manis Restaurant, guests can sample a variety of Indonesian, international and Western dishes while enjoying scenic views of the ocean. In-room dining is also possible. Nusa Lembongan Island itself is reachable by a 25-minute speed boat ride from Benoa Harbor or Sanur Beach. The property is a 5-minute drive from Mushroom Bay Harbor. Boat transfers from Sanur Beach to the island are offered at an additional charge. 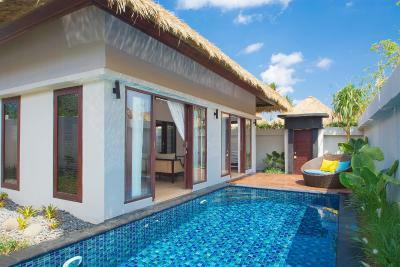 뀐 Located in the top-rated area in Nusa Lembongan, this property has an excellent location score of 9.1! 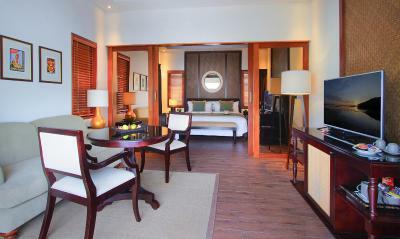 When would you like to stay at Lembongan Beach Club & Resort? 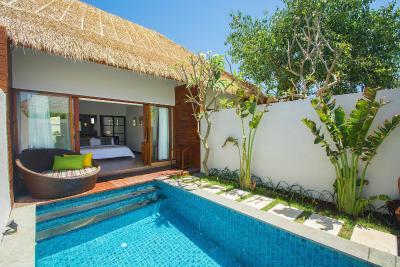 This villa features a private pool and garden. 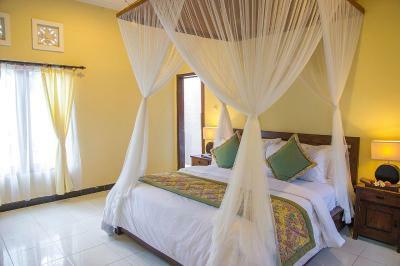 The villa is equipped with a flat-screen satellite TV, in-room safe, mini-bar and a coffee/tea maker. Guests can relax on the private terrace overlooking to the garden. 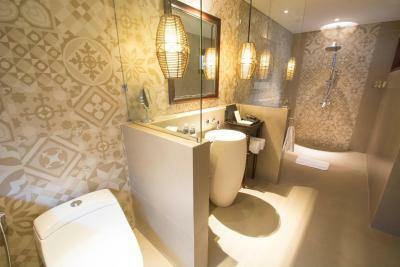 Private bathroom comes with shower facilities, bathrobes and free toiletries. 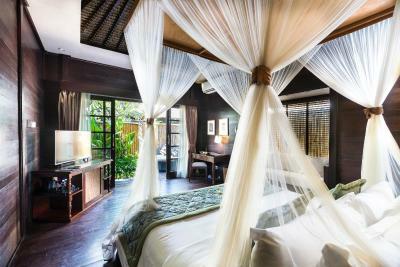 A private villa with a flat-screen satellite TV, mini-bar and a coffee/tea maker. Guests can relax on the private terrace. 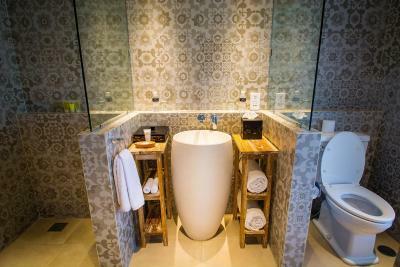 Private bathroom comes with shower facilities, bathrobes and free toiletries. 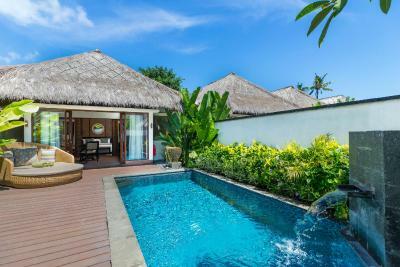 This spacious villa offers a large private swimming pool. The villa also has a simple kitchenette with refrigerator, mini-bar, and a coffee/tea maker. The spacious living area is equipped with a flat-screen satellite TV. Guests can relax on the private terrace overlooking to the garden. 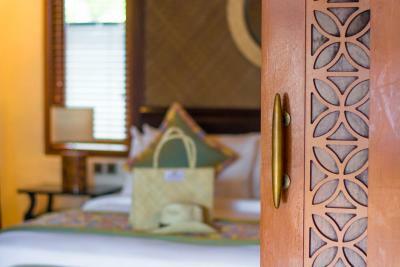 Each room has in-room safe, and private bathroom comes with shower facilities, bathrobes and free toiletries. This villa features a private pool and garden. 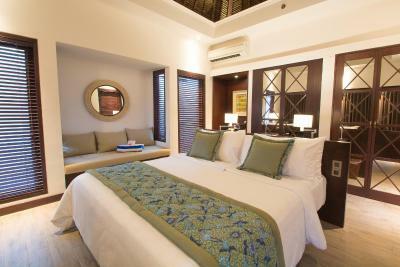 The villa is equipped with a flat-screen satellite TV, in-room safe, mini-bar and a coffee/tea maker. Guests can relax on the private terrace overlooking to the garden. 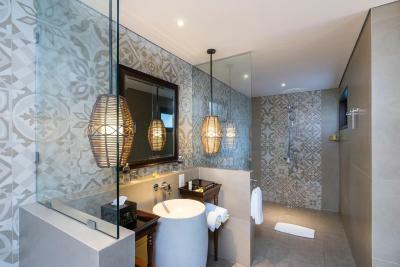 Private bathroom comes with shower facilities, bathrobes and free toiletries. Guests can enjoy an access to the exclusive lounge. This villa has a living room and 2 flat screen TV's (1 in the room and 1 in the living room). It features a separate bathtub and shower and a private pool. It has a separate lobby entrance. 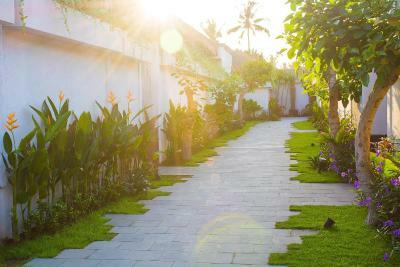 House Rules Lembongan Beach Club & Resort takes special requests – add in the next step! Lembongan Beach Club &amp; Resort accepts these cards and reserves the right to temporarily hold an amount prior to arrival. Lembongan Beach Club & Resort accepts these cards and reserves the right to temporarily hold an amount prior to arrival. Not much not to like. Only down side was restaurant menu which could maybe offer some different or more options. Not really much to entice you to remain in the hotel. Property was in good location and very relaxed. Everything was fine. The cocktails could have been better! I loved the layout of the resort. The beachfront was beautiful. Staff were so helpful . Everything was perfect . The private pool was clean and cool. The room itself was clean and comfortable. The food was really good. And the staff so friendly and helpful. Will definitely be back. Wish I could have stayed longer. Such a beautiful room and loved, loved, loved the private pool in our villa! Perfect location for amazing snorkelling at mangrove bay. Great breakfast. Lovely and helpful staff who organised our transfer from Sanur. 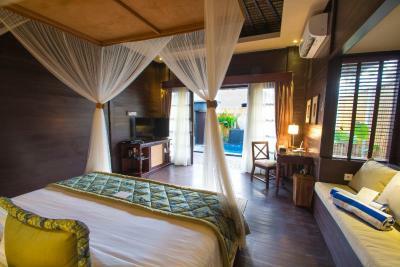 Even put us up in sister hotel in Sanur for a night as we arrived late into Bali on our first night. Close to what I would call the main part of town. Easy to access. Afternoon tea was included. Nice beachfront location. Picked up and dropped off to the boat. Really nice bathrooms with toiletries. Great A/C in rooms. Food was good. No views from our villa (2 bed with pool) although didn't expect this as the resort is down low without volcano or ocean views. Could check the surf by walking 1 min to beach through resort. Overall it's a lovely place and I enjoyed staying here. Complex needs a bit of updating ie looks tired in restaurant, villa pool missing tiles, decking around pools need replacing as boards are lifting and could pose s trip hazard, not a great breakfast selection as caters more for Asians, rooms could do with a pest treatment. 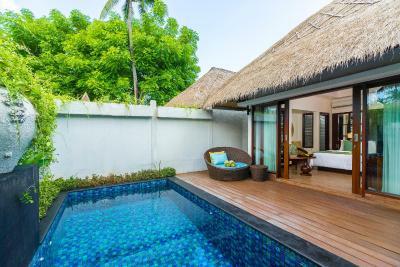 Liked the proximity to the beach, good room size, nice pool villa and common pool area near beach, comfortable beds with lots of room to spread out in the two bedroom villa. A bit run down. Bathroom facilities didn’t seem very clean. Air conditioning in rooms loud and not very good. Location. Pool area was really nice. Staff were helpful and friendly. The Aircon in some of the rooms is a bit weak, nothing unbearable and still more than comfortable to get to sleep. Staff were amazing throughout, always willing to help and go the extra mile for you. The hotel is definitely one of the nicest in the area with great rooms, an awesome pool and restaurant and a perfect beach side location. The price is also extremely good, whilst it is more expensive than others in the area, it is definitely worth it and when compared to even basic hotels in the UK for example it's incredible. Few mosquitoes in room at night. 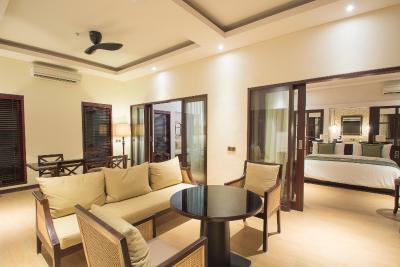 Great location on beach,quiet comfortable resort with plenty of beachfront lounges and infinity pool. Friendly staff,good breakfast choices. Upgraded to pool villa when we had AC problem. Fantastic snorkeling trip orgaised from hotel with Captain Blank,who also transported us to Nusa Penida Harbour.